India will soon have its very first national programme for clean air! It took four years of relentless campaigning to reach this point. We salute the over one lakh Indians who made this possible. They signed petitions, emailed the ministers and joined protests outside the Environment Ministry and a coal power plant. And there were some, who even climbed up a bridge in Mumbai, demanding clean air. 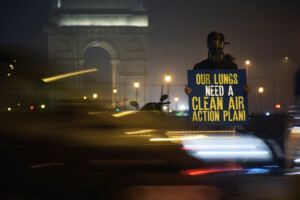 According to the latest WHO data, 8 of the 10 most polluted cities in the world are in India! The policy draft released by the Ministry of Environment lacks specific air pollution reduction targets and interim milestones, which is imperative for implementing the programme successfully. We’re working to ensure those gaps are filled and the National Clean Air Programme is implemented urgently. Three years ago, the farmers of Kedia took on a journey towards Ecological Agriculture. In Oct 2017, the state government acknowledged the model and announced to develop an ecological model village in each district of Bihar. 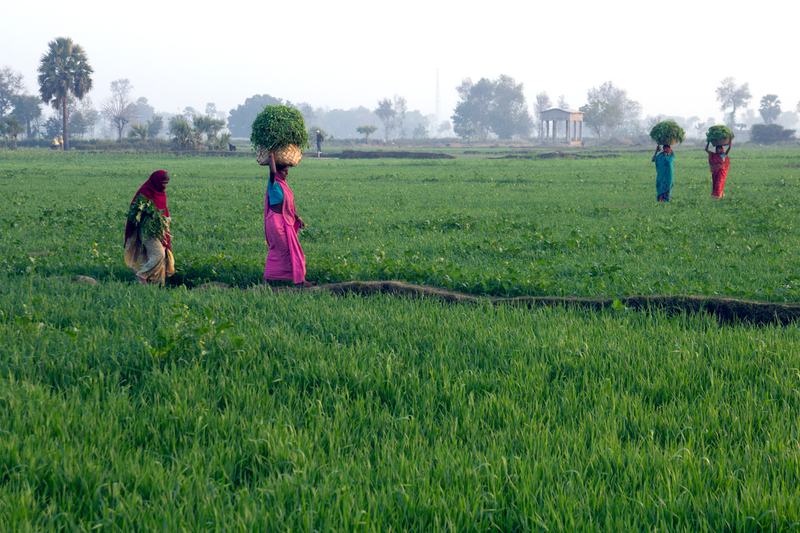 The best part is that, work has already begun in the direction of realizing the vision of an organic Bihar. 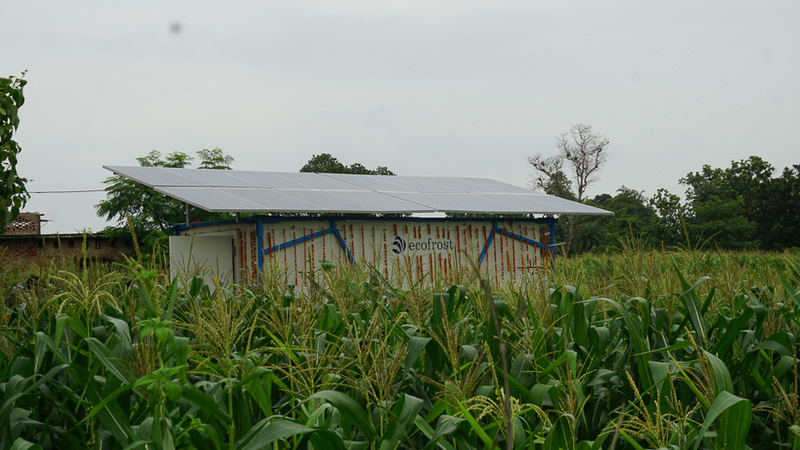 Bihar installs its first solar-powered cold storage facility in Kedia!! We saved Mahan forests! No coal mining in one of Asia’s oldest sal forests! A four-year long struggle. Several arrests and lawsuits. The resilience of the forest community and Mahan Sangharsh Samiti. Backed by 1 million people. In March 2015, the Coal Ministry confirmed that the Mahan coal block will not be put up for auction. The coal block which had been allocated to Essar and Hindalco threatened to destroy more than 4 lakh trees and the livelihoods of more than 50,000 people. One of Greenpeace India’s most challenging fights , this is a landmark victory. 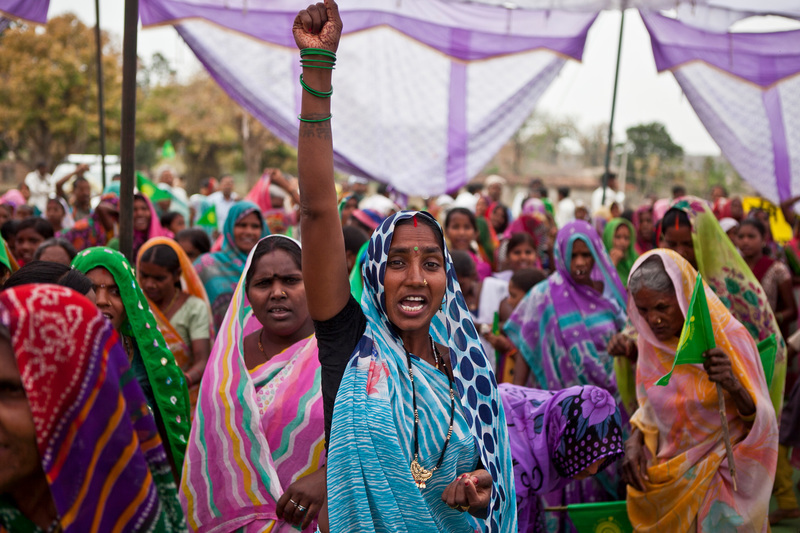 The fight to save Mahan is one of India’s most significant environmental movements of the century! 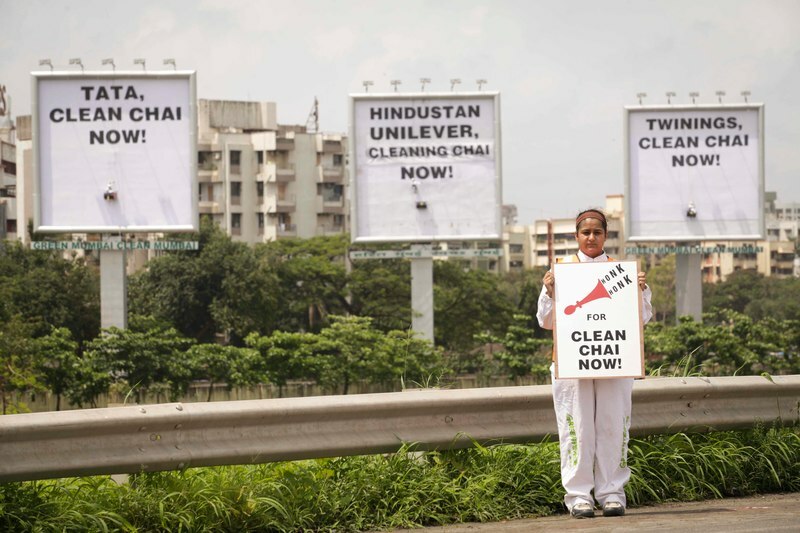 Largest tea companies in India commit to pesticide-free clean chai! 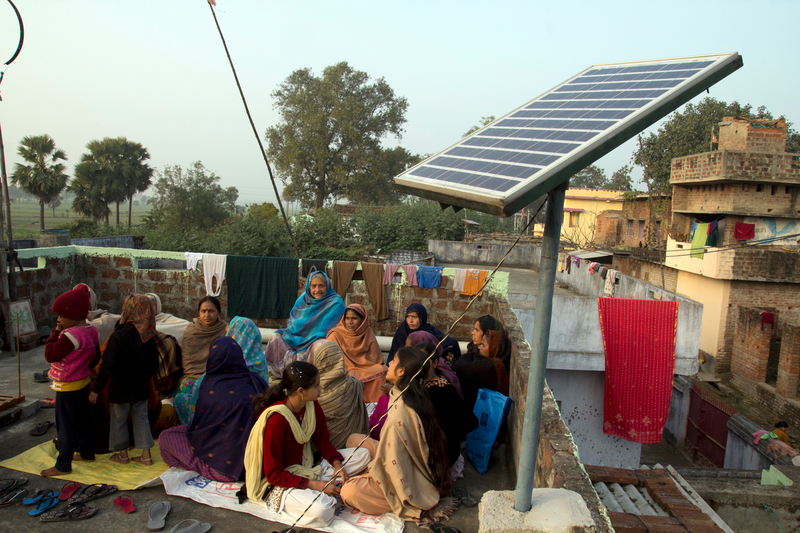 On July 20, Greenpeace India empowered 2,400 Indian citizens living without electricity for over 30 years in Dharnai, Bihar, with a solar-based microgrid that now provides 24×7 electricity to 450 homes and 50 commercial operations, including two schools and a healthcare facility. This access to clean and renewable energy is a landmark achievement in India’s energy history! This announcement came after two years of intense campaigning by Greenpeace, asking the company to stop using diesel to power its mobile network towers. 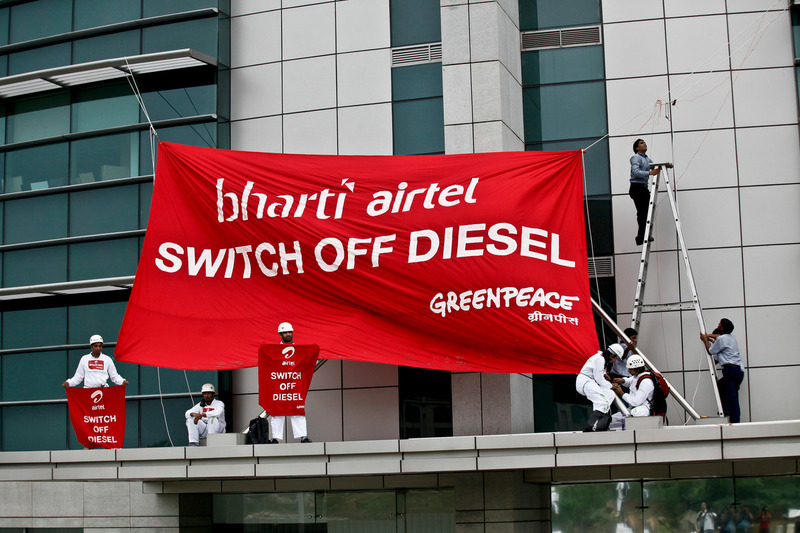 Airtel also wants to work closely with Greenpeace India to implement their plans to go green. The Parliamentary Standing Committee on Agriculture comprising of 31 members across party lines including 11 members from the ruling party submitted its report on GM crops. After looking at various aspects of the issue and consulting almost all the stakeholders, including Greenpeace, over a period of 2.5 years, the committee unanimously recommended that the government should not be in a haste to approve GM crops and there be a complete overhaul of the current regulatory system. This happened after Greenpeace along with other experts from various fields deposed before the expert committee raising scientific and regulatory concerns associated with the open release of GM crops. Union Agriculture Minister announced in the Parliament,“Concerned over the adverse impact of fertilisers on soil and crops, (the) government plans to reduce subsidy on it and divert funds to organic manures, bio-fertilisers, green manures and promotion of organic farming.” This has been the consistent demand of our fertilizer campaign ever since it was launched in 2009. Greenpeace exposed biosafety violations in a GM corn field trial, conducted by Monsanto (a US multinational) in Banihatti PA (village), Sindagi taluka, Bijapur district in Karnataka. Massive public opposition against GM field trials in the state from farmers and civil society groups followed. Few weeks after the expose, Karnataka Government decided to pull the plug on all field trials of genetically modified (GM) crops across the state, securing the environment, farmers and health of people in the state from irreversible and inevitable damage. 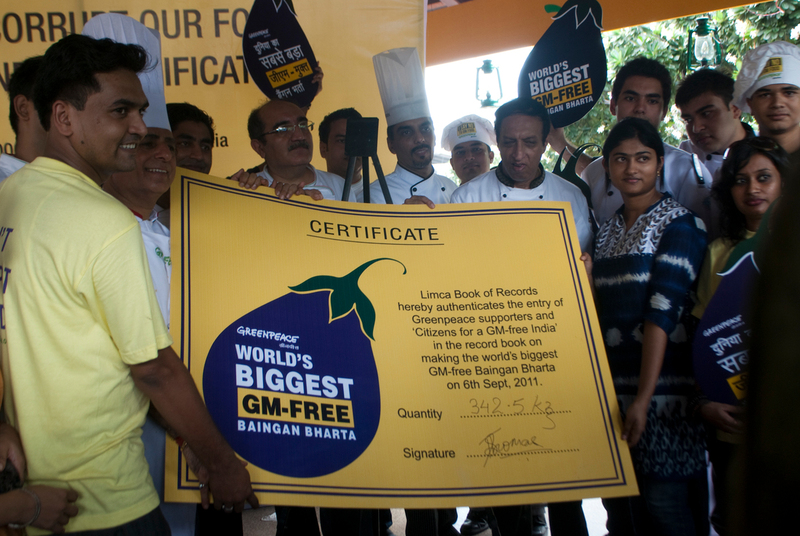 Greenpeace created a world record by preparing the World’s Biggest GM-free Baingan Bharta in Delhi. The bharta represented the support of more than one lakh people who had signed a petition opposing the controversial Biotech Regulatory Authority of India (BRAI) bill through an online petition. The public opposition has ensured that the controversial bill is kept out of the Parliament till now. In response, the Finance Minister proposed support for alternative ecological fertilization practices to address the soil crisis in his budget speech This was probably the first time soil health crisis and the importance of organic matter in maintaining soil health received a mention in the Budget speech. 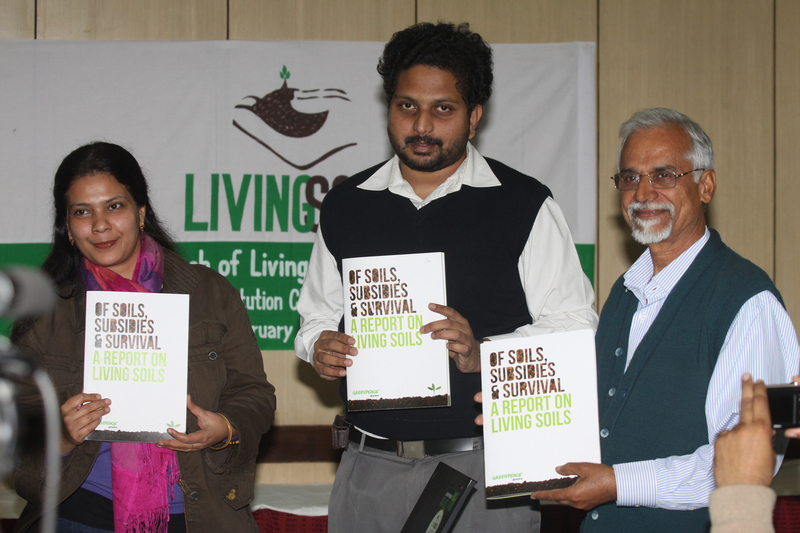 Our “Living Soils” campaign conducted social audits in 5 states, brought out the ground realities of soil health crisis and highlighted the absence of policy support to address the same. Post the first phase of the “Living Soils” campaign Greenpeace was invited to the pre-budget consultation organised by the Finance Ministry. We presented the results of the social audits and suggested mechanisms to support ecological fertilisation to save soils. Our consistent efforts to address the ecological crisis in Agriculture received recognition when we were invited to join the working group on Natural resources Management created as part of the 12th plan development. Our representative was successful in making pertinent interventions based on the rich experience gathered through our consistent and focused work on soils. The Approach paper to the 12th Five Year Plan prepared by the Planning Commission and approved by the Union Cabinet and National Development Council (NDC) highlighted the need for supporting ecological fertilisation to save soils. It carried more or less all our recommendations from the “Living Soils” report. sending a message to energy producers to move away from coal. Facebook now has a siting policy that states a preference for access to clean, renewable energy supply for its future data centres – the places where its computers live. Coal power is still a feature of Facebook for now, but as they say in the IT sector – it’s been deprecated. See the campaign timeline. After all the political drama the nuclear liability bill was finally passed by both the houses the Moonsoon session of the Parliament. The revised bill enforces complete supplier liability (which was one of the key demands made by Greenpeace India.) The bill does not provide for our demand of unlimited liability, but has increased the quick compensation from Rs 500 crores to 1500 crores. Apart from that there is a clause which allows the government to increase compensation depending on the scale of the accident. Greenpeace started an online petition asking the Prime Minister to hold a public consultation before passing the nuclear liability bill. Nearly two lakh people signed this petition and the signatures were faxed to the Prime Minister’s office till they blocked our lines. We presented 1.87 lakh signatures on the petition demanding public consultation to the Standing Committee looking at the bill. Soon after, the Standing Committee published an advertisement announcing a wider consultation on the nuclear liability bill. 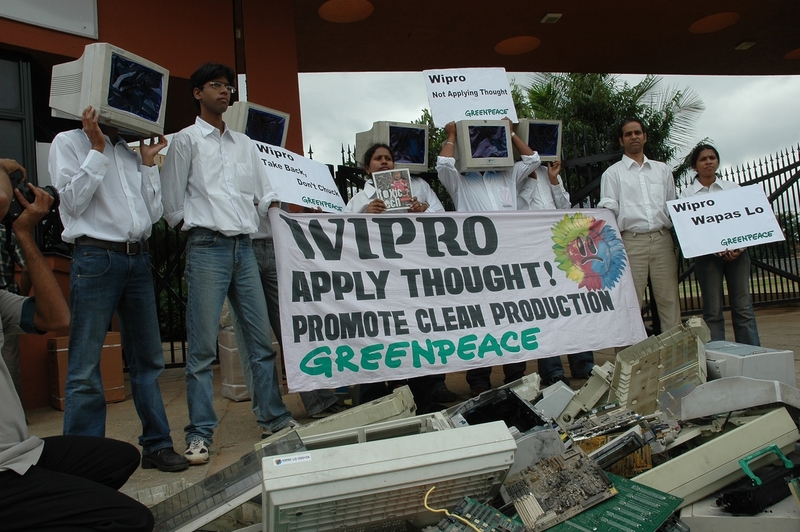 On May 15, 2010, Minister for Environment and Forests announced that the government will come up with new rules for the regulation of e-waste in the country. The genesis of these new rules can be traced back to April 2008, when Greenpeace organised a meeting of major electronics manufacturers in Bangalore. The objective of the dialogue was to set the ball rolling for a formal law governing e-waste. A team of radiation experts from Greenpeace revisited the Mayapuri scrap yard in Delhi, in news after 6 people were hospitalised after being exposed to radiation. The authorities had scanned the area and declared it clean but the Greenpeace team identified hotspots with dangerous levels of radiation, including two places which had levels higher than 5000 times normal background. India’s Wipro shares the top spot with leading cell phone brand Nokia in the latest version of Greenpeace’s Guide to Greener Electronics. Minister for Environment and Forest Jairam Ramesh announced a public consultation to decide the fate of the introduction of Bt brinjal in the country. Four years of public campaigning against GM food saw the whole country join the debate in these public consultations and opposing Bt brinjal. This led to the government declaring an indefinite moratorium on the commercialisation of Bt brinjal. 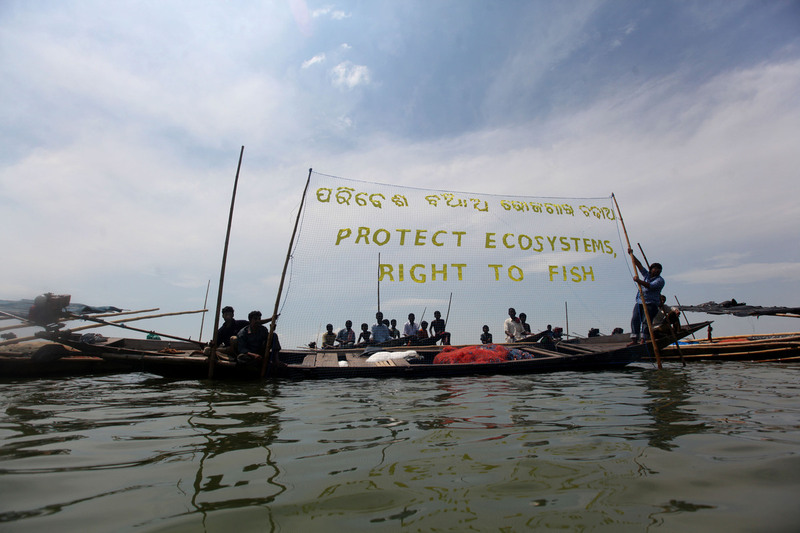 Greenpeace has been working in Orissa to ensure better enforcement of marine fisheries regulations. Since 2006 there have been slow but steady improvements in Orissa in the form of active marine patrolling to check illegal fishing, resulting in better enforcement of the State Marine Fisheries Regulation Act. Greenpeace India launched the Ban the Bulb campaign in 2006, calling for a phase out of inefficient light bulbs by 2012. Over 250,000 people signed the Ban the Bulb petition demanding ordinary incandescent bulbs be replaced with efficient ways of lighting. 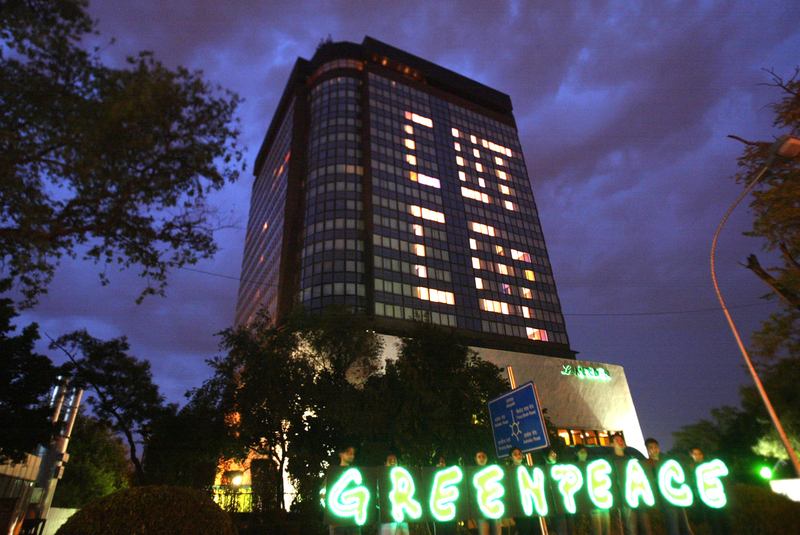 Many joined us in human formations to take the message across, while others helped Greenpeace ‘raid’ homes, shops, and hotels to change bulbs. Three years of creative campaigning resulted in the announcement of the Bachat Lamp Yojana by the Government. 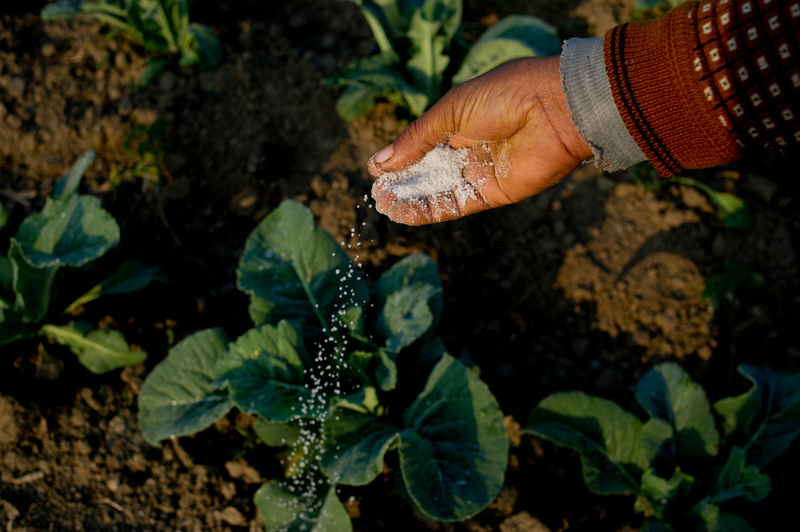 In November 2009, Greenpeace released its scientific report on contamination of the ground water in Punjab with nitrates from chemical fertilisers through a report called ‘Chemical fertilisers in our water’. This resulted in the State Human Rights Commission of Punjab starting an enquiry into the issue and ordering the Government to clarify. In 2009, Greenpeace was an active part of a coalition of fisher groups and NGOs that convinced the government to withdraw the Coastal Zone Management notification, which would have opened up the coast to industrialisation. With the same coalition we are now demanding that the government strengthen the CRZ notification to protect livelihoods and coastal ecosystems. Beginning of the year saw the then Union health minister keeping his promise when the ministry representatives in the Genetic Engineering Approval Committee (GEAC) opposed the approval of Bt brinjal in January. Independent scientific reviews by scientists in India and abroad on Bt brinjal bio-safety submitted by Mahyco, the company developing Bt brinjal helped the officials in taking this stand. In 2009 we started our public campaign on fertilisers through our ‘Subsidising Food Crisis’ report which got wide attention. Around this time the government also started talking about changing the subsidy system for chemical fertilisers. Greenpeace continued its lobbying work and organised public hearings which resulted in the Standing Committee on Agriculture reviewing the policy. 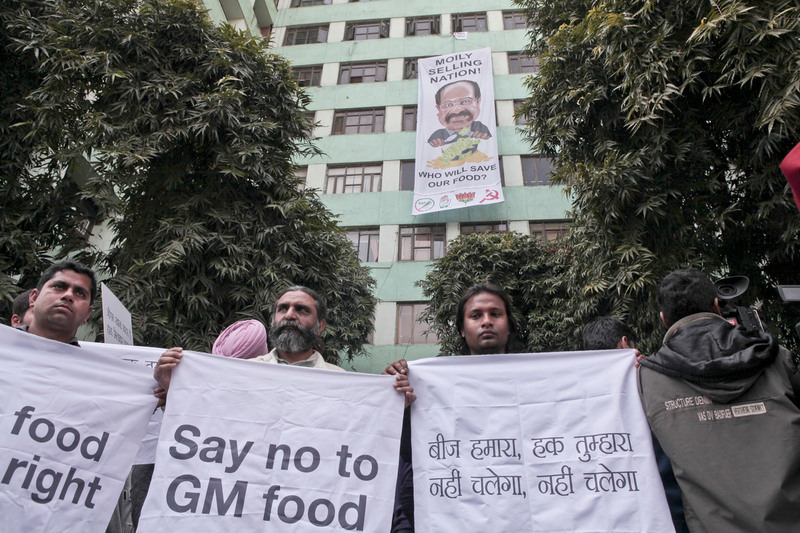 As the GM debate was building up, Greenpeace launched its first consumer campaign on GM food in India with the Safe Food Guide. The guide brought out the positions of most popular food brands with respect to GM food. All the brands targeted gave a ‘GM free at present’ statement while one of them declared in its policy that it will remain GM free in future also. The consumer campaign not only built a strong online movement but also opened up doors for a number of food brands who were otherwise elusive. It also strengthened the ties among consumer groups resulting in the Consumer Coordination Council, the umbrella federation of consumer groups in India, sending a letter to the PM and environment minister to stop all environmental releases of GM crops. 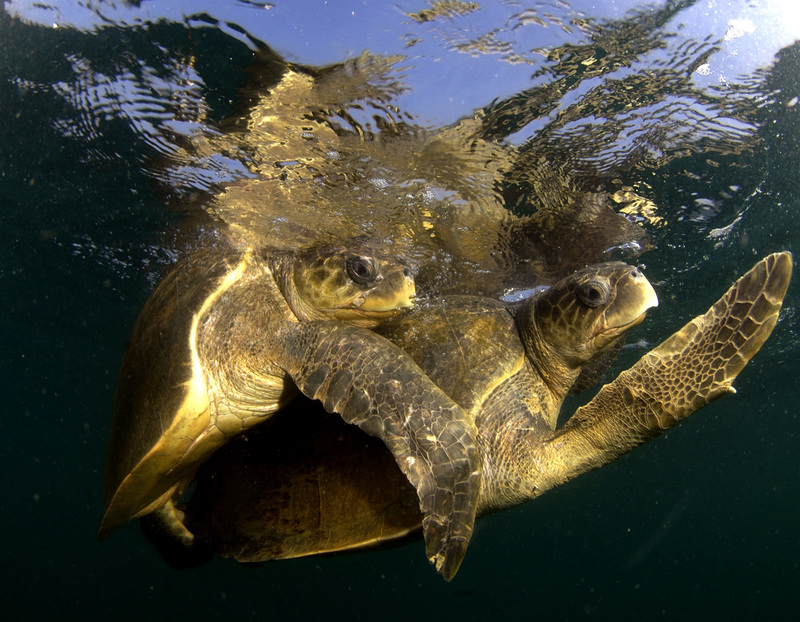 Our work in Orissa’s Gahirmatha marine sanctuary aims at creating a reference for marine conservation in other parts of India. To this end we have allied with traditional fish workers, lobbied with the state government and the central government, taken action and provided solutions. 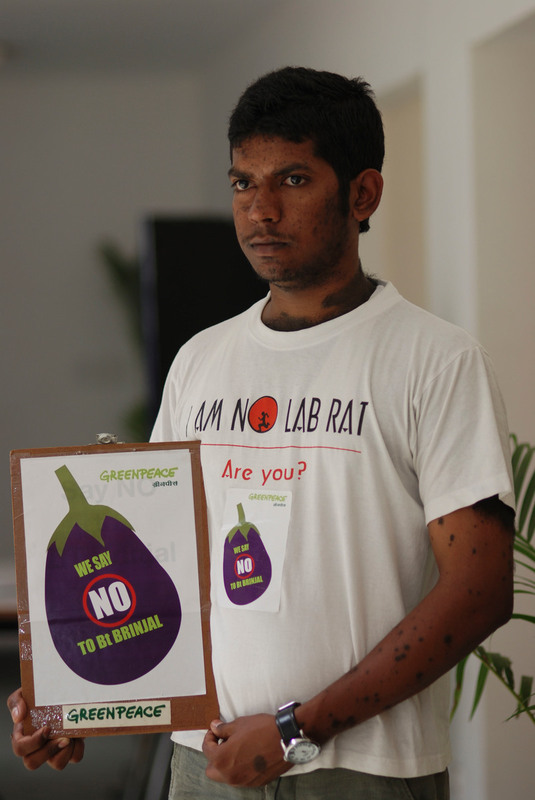 With Bt brinjal, the first GM food crop nearing commercialisation, the public campaign, ‘I am no labrat’ was also getting shriller. With the help of prolonged online campaigning, continuous faxing by a coalition of civil society groups across the country and persistent direct actions by Greenpeace, by the end of the year we had forced the then health minister to listen to the public concerns on Bt brinjal. For the first time, a Union cabinet minister publicly endorsed the concerns on Bt brinjal and promised that the health ministry would stop the approval of Bt brinjal. Greenpeace exposed the presence of illegal GE food in our country. Since GEAC as usual was denying the presence of illegal GE food being sold in the Indian market, we proved them wrong by testing imported food products from retail shops in Delhi, right under their nose and showing that at least one out of the three products we tested had GE ingredients. The product was Doritos corn chips from Pepsico International. This led to an investigation by Director General of Foreign Trade into illegal imports of GE food. As the information on GE crops in India was scarce and far apart, hidden inside the government websites and files of different research institutions, Greenpeace brought out ‘Genetic Gamble’, our first ever report on GM crops in India. This was also the first ever report to look at the depth and breadth of GM food crop research happening in the country. GEAC, the nodal agency for regulation of GE crops, was forced to put the bio-safety study information in the public domain, after a 30 month long Right-to-Information struggle that Greenpeace had with the regulatory bodies. This information was then given to independent scientists for review. In minutes of it’s meeting, the GEAC declared that there will be no GE rice field trials/commercialization in 5 states of the country to protect the economic interest of traders and farmers. 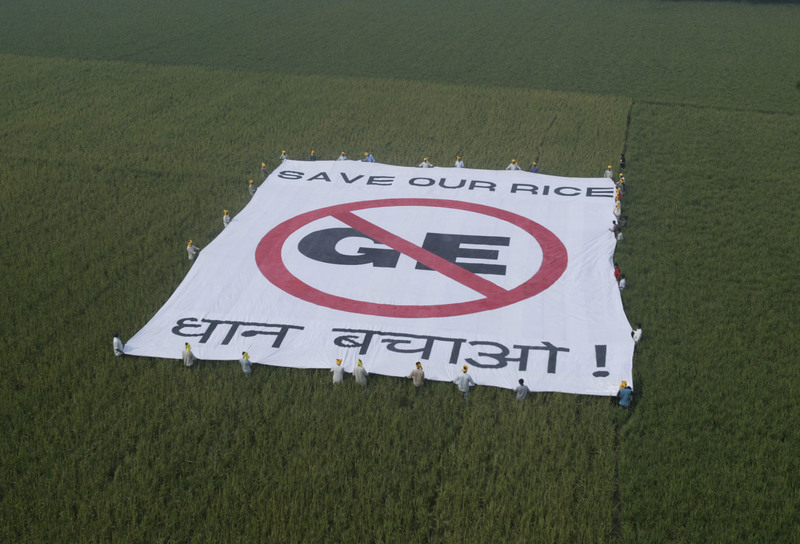 Greenpeace was successful in getting the All India Rice Exporters Association (AIREA) of India (comprising of the top 70 rice companies) to take a precautionary position against GE field trials in the country as it would threaten their exports. French President Chirac announced the dramatic recall of the asbestos-laden warship Clemenceau. The ship went back to France. Our actions, emails to Chirac and an embarrassing international scandal left France with little choice but to abandon the misguided attempt to dump its own toxic mess on India. Greenpeace announced in a press conference in New Delhi that farmers in the Narsampet mandal of Warangal district of Andhra Pradesh were cheated by over Rupees 2 crores. Local officials had doctored data of Monsanto’s poorly performing Bt cotton varieties. Following our report and demand for enquiry, the JDA of Warangal was suspended after an enquiry for falsification of records. The state government accepted that the compensation in Warangal to be 4.5 crores. The After reviewing Greenpeace’s data the GEAC banned the sale of 3 Bt cotton varieties- MECH-12 MECH-162 and MECH-184in Andhra Pradesh. 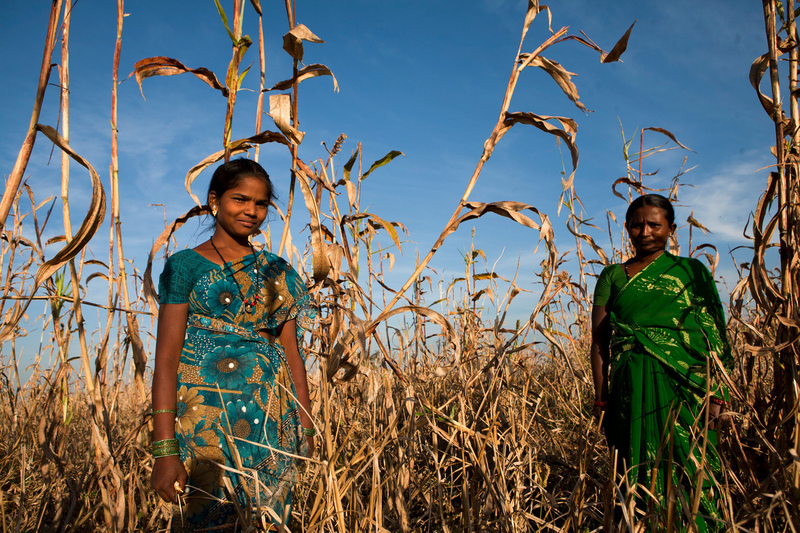 Bayer conceded to Greenpeace India that all its projects on genetically engineered (GE) crops have been ‘discontinued’. This was stated in a letter sent by Aloke V. Pradhan, head of Bayer’s Corporate Communications in India. This announcement followed earlier actions by Greenpeace outside Bayer’s headoffice in Mumbai. 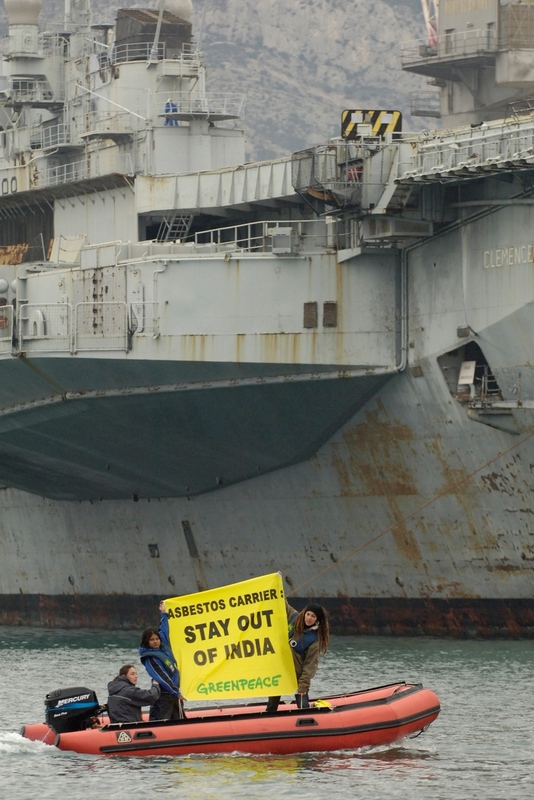 Greenpeace efforts to achieve tighter controls on the notorious ship breaking industry resulted in an international agreement to treat obsolete ships as waste. Treaty commitments by 163 nations can be expected to increase demands for decontamination of ships prior to export to the principle ship breaking countries of India, Bangladesh, and Turkey. It will also create new demand for the development of “green” ship recycling capacity in developed countries. 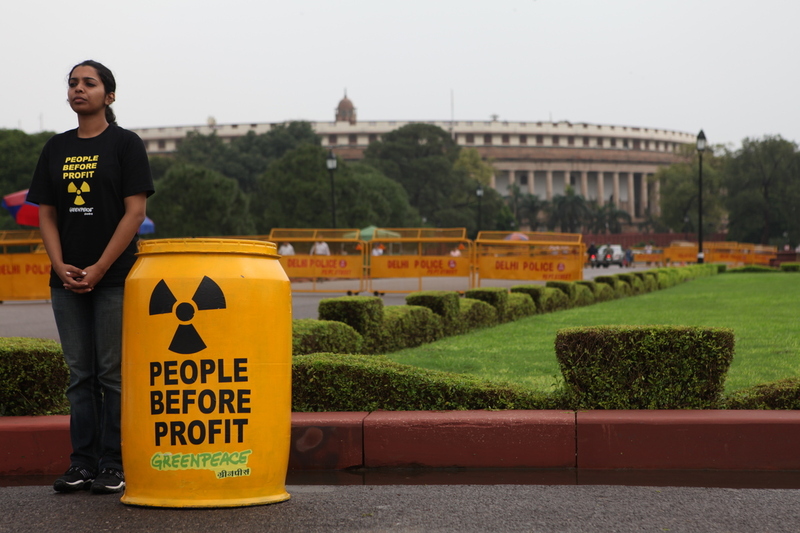 Three years of aggressive campaigning by Greenpeace bore fruit when the Supreme Court Monitoring Committee on Hazardous waste (SCMC) slapped a Rs 50 crore fine on Hindustan Lever. The damage caused by the companies mercury thermometer factory plant in Kodaikanal had been exposed by Greenpeace and other civil society groups in 2001, forcing them to shut down the factory. The SCMC asked the Tamil Nadu Pollution Control Board (TNPCB) to collect the fine from HLL as a revolving bank guarantee to undertake clean-up operations and to restore damaged and destroyed elements of environment under the “Polluter Pays” principle. HLL was also asked to set up health clinics to provide necessary facilities to enable genuinely affected people recover from the ill effects of mercury poisoning. Hindustan Lever Ltd (HLL) refused to take up responsibilty for the damaged inflicted by its now non functional mercury thermometer plant in Kodaikanal. The damage done to the environment and to the health of the ex-workers and residents of the area was being overlooked even after the Indian People Tribunal released a report confirming this in 2002. In December 2003, Greepeace’s Rainbow Warrior ship released a report detailing the mercury contamination from the HLL. Things were not easy for HLL after Greenpeace along with local commnity exposed its mercury dumping plant in Kodaikanal in 2001. In March, 2003 the Tamil Nadu Pollution Control Board ordered HLL to collect the mercury containing glass waste dumped in scrap yards and forests and send it back to the United States for recycling and disposal. Consequently, the company had no option but to collect, pack and send 289 tons of waste material to a recycling facility in Pennsylvania from the Tuticorin port in May 2003. Greenpeace activists surprised Dr. Manju Sharma, Secretary of the Department of Bio-Technology (DBT) with a house-call 2nd September, bearing indigenous potatoes & a banner stating ” GE Food No Solution to Malnutrition. Dr. Sharma refused to accept the 100 kgs of desi (local) kufri variety of potatoes but did acknowledge that ‘stipulated procedures’ for bio-safety assessments would be fulfilled before the GM potato is considered for approval. After Months of campaigning against the ill effects of Bt cotton, the Andhra Pradesh agriculture minister announced on a national television channel that Bt Cotton had not yielded positive and encouraging results in the state. A week later the state government decided to give compensation to Bt farmers. Pro Agro- Bayer’s Genetically Engineered mustard was up for commercial approval in November 2002. Greenpeace ran a month long active campaign to create awareness on the potential threats of what could become the first GE food crop in the country. 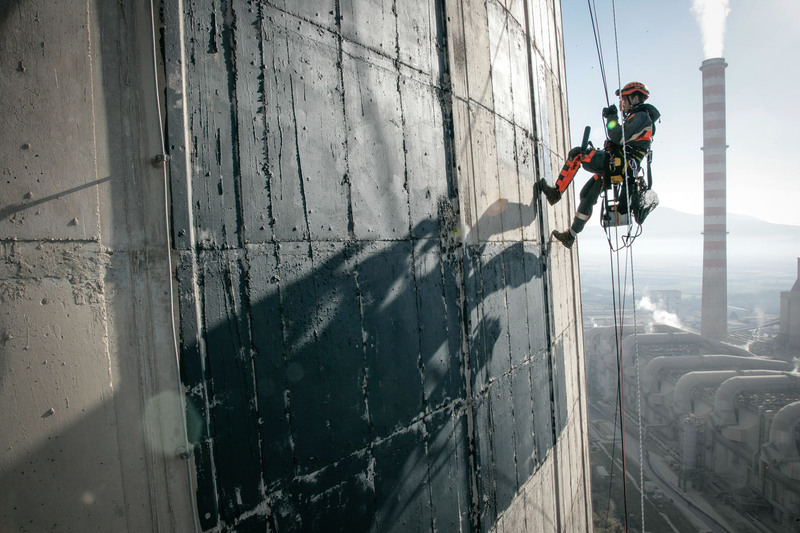 On March 7, the day of the GEAC meeting, six Greenpeace activists chained themselves outside the Minstry of Environment and Forest building. The chained activists updated the media who in turn put pressure on the GEAC chairperson to take a decision in the interest of the people. GM mustard was rejected, and ProAgro was asked to repeat their field trials. Greenpeace and a local environment group – Palani Hills Conservation Council (PHCC) – exposed Mercury-bearing waste glass that had been dumped by HLL at a local scrap yard. Consequent demonstrations by the local people at the factory site forced its closure, and the Tamil Nadu Pollution Control Board (TNPCB) issued a notice to the company, ordering them to refrain from carrying out any activity at the site. Greenpeace exposed the contamination of Pringles Potato Chips and IsomilBaby food with genetically engineered ingredients and questioned India’s GMO free status. Greenpeace made a presentation at the ”open dialogue” organised by the GEAC prior to approving Mahyco-Monsanto’s Bt cotton. 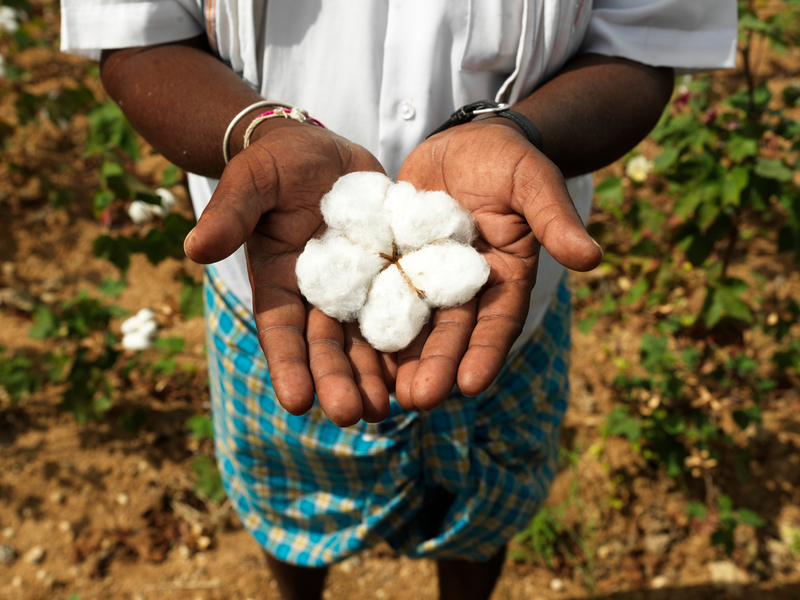 The commercial release of Bt cotton – the first GM crop in India was deferred for a year.